Ready to begin your great adventure as you will be arriving on your flight into Lima, you will be met and greet at the airport and transfer to your hotel. Overnight in Lima. In the morning we will have a tour through Lima’s streets and plazas. Starting at the Love Park in Miraflores, with a spectacular view of the Pacific Ocean, and then heading to the Huaca Pucllana, ceremonial center of the Lima culture. Later we will go to San Isidro, financial center of the city. After this, we go on to the Main Square where the Government Palace and the Town Hall are located. 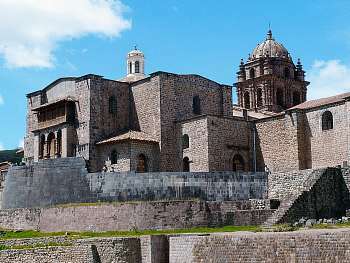 We will visit the Cathedral and explore the Santo Domingo Convent, along which corridors San Martin de Porras and San Rosa de Lima used to walk around in 17th century, and where their remains rest today. At the arranged time we will go to the airport to board the departing flight. 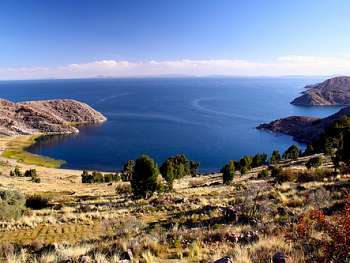 On the way there we will visit the pre-Inca cemetery of the Hatun Colla chiefs in Sillustani, on the shore of Lake Umayo. A great trip to see the funerary towers or Chullpas reaching up to six meters high. 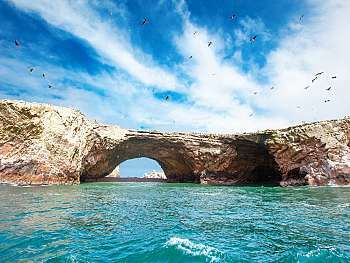 Transfer airport / hotel / airport - HD City tour - HD Larco Museum and Magic Water Circuit. 3 nights of accommodation in Lima - Daily breakfast. Aerodiana - Nasca Lines overflight - Paracas Desert, Ica City, Nasca Lines. Ballestas Islands motor boat excursión. 1 night of accommodation in Paracas - Daily breakfast. Transfers airport / hotel / train station / hotel / airport. HD City tour and Sacsayhuaman Archeological Park. 1st day: Awanacancha, Colonial and Inca Pisac, visit to Inkariy museum with lunch. 2nd day: Maras, Moray and Ollantaytambo Fortress with lunch. FD Machu Picchu excursion with Inca Rail train (executive coach) - Buffet lunch. 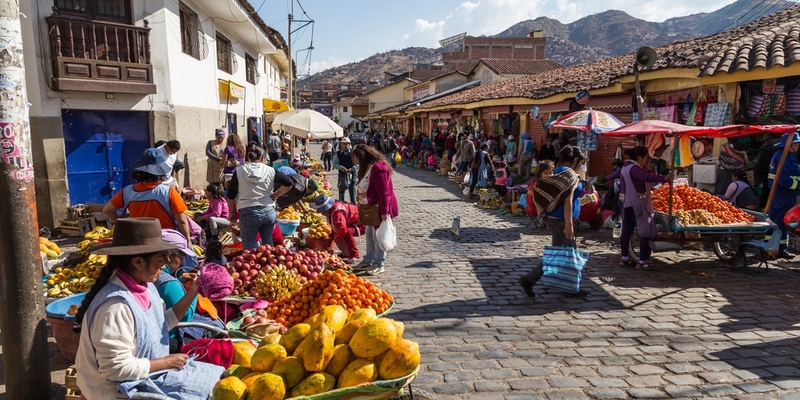 Tourist bus tickets for the route Cusco/Puno, including lunch and visits on route. 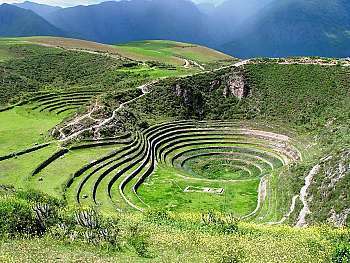 2 nights of accommodation in Cusco - 1 night of accommodation in the Sacred Valley - 1 night of accommodation in Aguas Calientes - Daily breakfast. 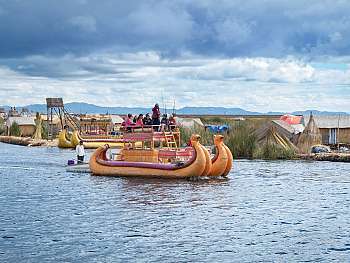 FD Floating Islands of Uros and Taquile Island with typical lunch. 2 nights of accommodation in Puno - Daily breakfast. 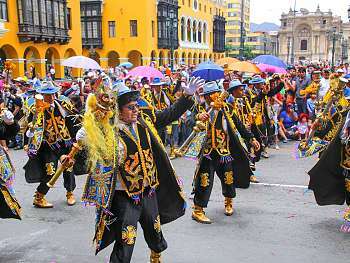 Does not apply during Candelaria Festivity (February 2-14), Easter, Inti Raymi (June 22-26) and our national holidays (July 28-29). Shared services in English or Spanish. Children of 2 to 5 years can apply rate sharing bed w/parents. Children of 2 to 11 years can apply rate of triple accommodation. Hotels only allow one child sharing bed w/parents in a double room. In order to purchase entrance fees, train tickets, etc, at child rate we must have in advance copy of passport, otherwise we cannot apply child rate. 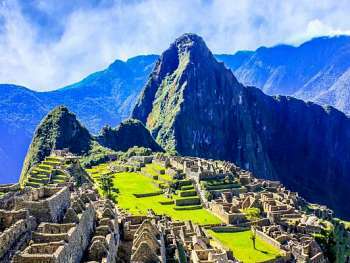 Hotels have been quoted without the IGV (Peruvian tax), exoneration applied to foreigners (non-Peruvian residents). In order to apply for this exoneration it is required to show a copy of your passport together with the entrance seal to Peru and the Andean migration card (which is given on the plane upon entering the country) sealed by the airport Immigration Services representative. In case of cancellation, this 18% should be added to the amount quoted. Airport taxes (USD 9.40 domestic flights and USD 30.74 international flights / Subject to modification without prior notification). * Above mentioned cost, at this moment, are included on the cost of the airtickets. Airport tax for Nazca Lines flight (USD 4.00 / Subject to modification without prior notification). Personal expenses, beverages in meals. Tips for guides, driver or waitress. Tourist Superior Class: Allpa Hotel and Suites.